Jane Sung and Kathy Stokes elaborate on personal budgeting in regards Medicare. Will Medicare pay for coverage outside of the United States? What are the advantages and disadvantages of having a Medicare Advantage program? AARP National held today’s access live event with Programs Director Kevin Craiglow, Senior Strategic Policy Advisor Jane Sung and AARP Fraud Watch Network Consultant Kathy Stokes to discuss Medicare open enrollment happening now until December 7th. 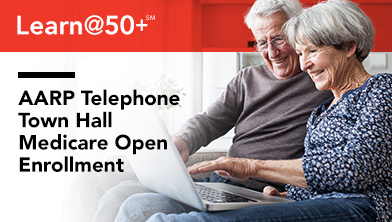 Participants were able to speak directly with AARP experts on what new tools to use and what to expect through this enrollment period. Some concerns expressed during the event were age limits, Medicaid involvement and different types of plans available.